RVP Charters is the premier minibus, motor coach & charter bus rental company servicing Boston, Massachusetts. Book your charter bus now by calling 1-718-779-1151. Boston is one of the oldest cities of America and is rich in history and culture. This city attracts millions of tourists each year. As you enjoy the attractions and learn history let the charter bus service take off the load of transportation worries from your shoulders. We have luxurious buses ready for our customers and provide a variety of services like long distance trips, sightseeing in city, shuttle service for events and much more. Safety is always our main concern and we try to maintain it always. Coach or minibuses are the best way to travel when you are on a trip with your friends or family. RVP tours are the best charter bus company in Boston provides luxury buses for tourists who want to see the city with style. The buses are all modernized and perfect means of transport for professionals who arrive in city for conventions and seminars. Wedding guests can also enjoy the shuttle services for the party, reception and ceremony. Educational trips are safe for charter buses. We will find the perfect bus for your group according to your requirements and size. We also entertain last minute booking and the buses will be available to you in 2 hours. Travelling in a group can be pretty tough as you have to ensure every element of the trip is well organized. You try and cope up with individual requirements and create a checklist ensuring no person is left behind. For one or two people this task can be daunting and exhausting. But, if you hire a bus for your group then you will be able to ensure all the above mentioned checkpoints easily. Thus, you will be stress free during your trip. On a private bus service you can always conduct a roll call to check that all the group members are together. These days the modern coaches come in with a variety of amenities like on board restrooms, extra leg room, recliner seats, climate control ACs and a lot more. These amenities ensure that the guests do not have to make those extra stops in between the trip. The Wedding day is the most important day in a person’s life and they want it to be perfect, dream like. But planning a wedding can be really stressful for the bride and groom. During this stage planning, wedding transportation is the last set of worry that you really need. 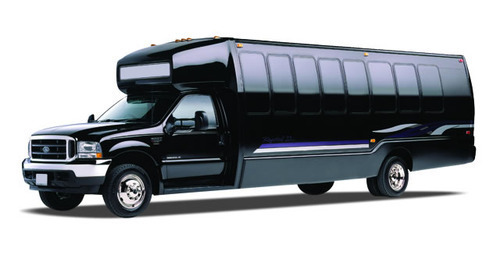 You can easily set up a shuttle service between hotel, ceremony area and reception venue. This way the guests will not be late for the wedding. Boston is a very big city and it becomes a real task for the carpool to stay together on busy streets. When you are coming with your own vehicles in a different city it is tough to stay together, manage navigation, traffic and parking. Therefore, some people cannot really have fun. But, when you charter a bus for your sightseeing and travelling needs you can relax, have fun with your party and even then simply ensure that all of you are together. Let the reservation experts and driver handle all else. If you have many guests coming over for an event, then it is time that you booked coach for their travel around the city. Booking a charter bus service ensures their air transfers as well. They will not get lost and arrive on time for your event. 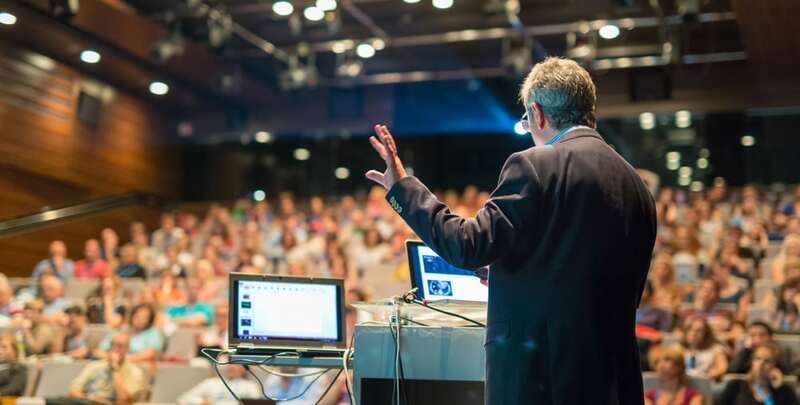 When your company needs to attend the next corporate convention in Boston get your travel arrangements done right with the help of RVP Tours. 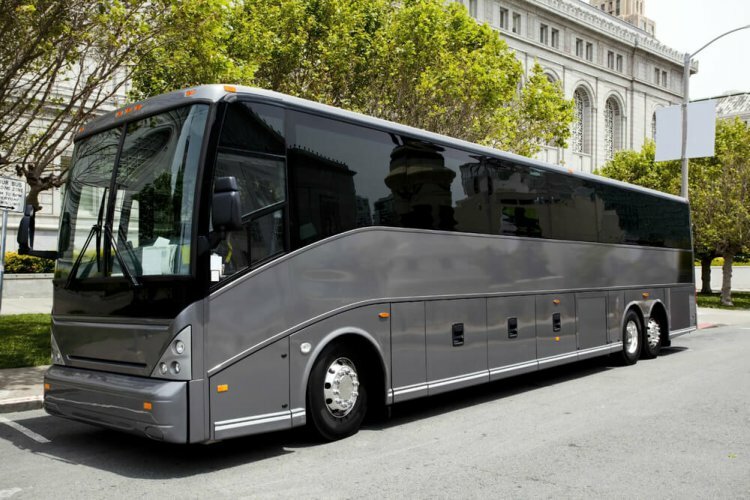 We will select the best bus for the occasion and according to the size of the group. Your group will always be safe and arrive on time in our buses. Long bus journeys can be a great platform for team bonding activities. When you are travelling to your destination you can play games on board, watch movie, discuss your project and make presentations or even have a small meeting to be ready before entering the event. If you will be travelling long distance, then your team can work remotely from the bus itself as we have a WiFi facility and extra charging points. Answer emails, edit presentations or videos and much more. When you are chartering a bus for travel you will note that these buses are different from the regulars. They are a luxury and you will definitely enjoy a personal experience that no carpool or airlines will ever be able to match up with. The seats are comfortable and soft with plush upholstery. There is lots of legroom so you will never feel cramped up. There is a separate area for keeping luggage, and other big items. All your luggage will remain safe through the complete journey. You therefore do not need to worry about it getting lost. All the buses that we own come complete with modern day amenities that will make you feel at home. When you have restrooms on board you will not make unnecessary stops in between. DVD players, television and surround sound will make movies a lot better with your group. You can also jive to the music. Free WiFi and extra power charging outlets mean that you will also be able to work and stay connected on the go. If you are planning an outing or a weekend break for your church family, then there will be many challenges ahead. Taking your group to the destination is the most difficult task of the trip. To avoid asking for carpool in your church group you can charter a bus with RVP Tours. The bus will take your group to the decided destination quickly and safely. Travelling by bus is affordable and less time taking than when you carpool. You will be able to rest and relax throughout the journey. Sporting teams that are travelling in and out of Boston would need a big luggage area for their sports gears. On board our buses they will also enjoy extra legroom, overhead bins, entertainment systems and WiFi. They will have the opportunity to relax, socialize and do team meetings before play. When the team arrives for the tournament they will be ready! If you book big coaches there are always extra seats for staff, coach and family members. However, if you are a fan group rooting to cheer Red Sox, The Bruins or Celtics then we will take you there for the next big game. You can reach TD Garden or Fenway Park to watch your favorites play on a charter bus without having to rely on rideshare apps, carpool, etc,. The Tailgating equipment will be kept safe in the separate luggage area. After the game your driver will be waiting for you to take you back home safely. If you think that hiring a bus for a large group will be expensive for your trip, then you must calculate and think again. One coach can carry approximately 56 passengers comfortably, but you will need 14 odd cars to do the same. Reimbursing for fuel, mileage and tolls to all the drivers can be really expensive. You may get separated on the road. With a private bus you will always stay together and will not have to think about any other expenses. Therefore, bus is a better choice. You can call our reservation experts for more details and a free quote. Boston is the largest city in Massachusetts. It is an old city and important for US. There are lots of activities for tourists, students and investors. This city has a rich history which can be seen with beautiful cobblestone roads, monuments, historic hotels and other attractions. 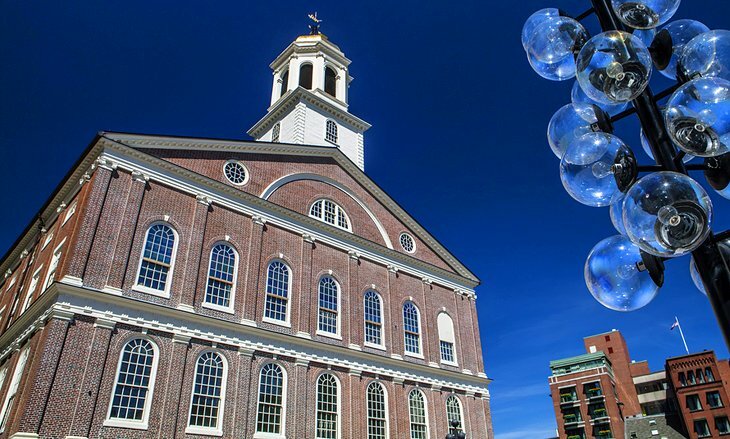 Tourists visiting Boston do include a lot of museums in their itinerary. Museums are a great place to discover the culture and history of the city. Museum of Fine Art is the largest and the best art museum in the country. Harvard Museum of Natural History, MIT Museum and Museum of Science are some other places of interest in the city. Arnold Arboretum is possibly the oldest arboretum in North America that is located on Boston Harbor Islands State Park. You can visit the Newbury Street and admire the architecture. 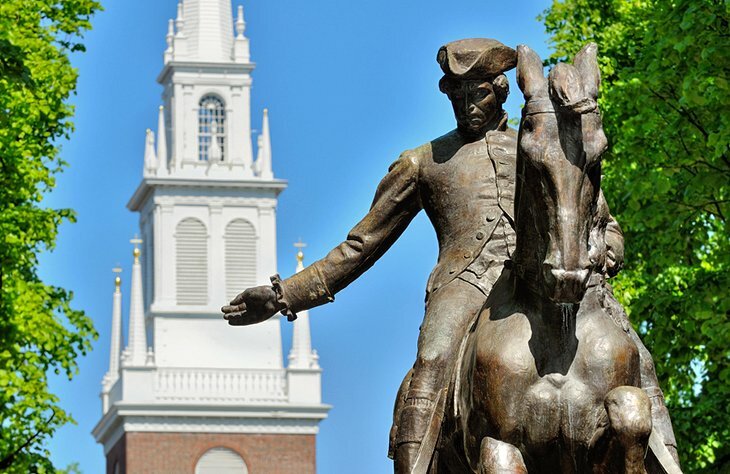 You can take the Freedom Trail at Boston Common and Public Garden or explore the Faneuil Hall and Quincy Market for local stuff. The Boston Children’s Museum is a must visit if you have children in your group. They will simply love it. New England Aquarium and Mapparium are some other places that you can visit with your child. If you love music, then attend an opera or performances by Boston Symphony Orchestra OR Boston Pops Orchestra at the New England Conservatory. In the end, you will thank yourself after the vacation for booking a charter bus service for the group. Travelling is easy and fun when you all stay together and safe. We help you select the right bus with all the facilities that you need. Call us today for more details and a free quote.